To most people, an inn is a place for weary travelers who are hungry and tired to get a bite to eat and rest for a while. After a few days, guests usually check out and return home or continue on their journey. Some people, however, check into an inn and never check out. Their ghosts stay on, sharing their rooms with the living. 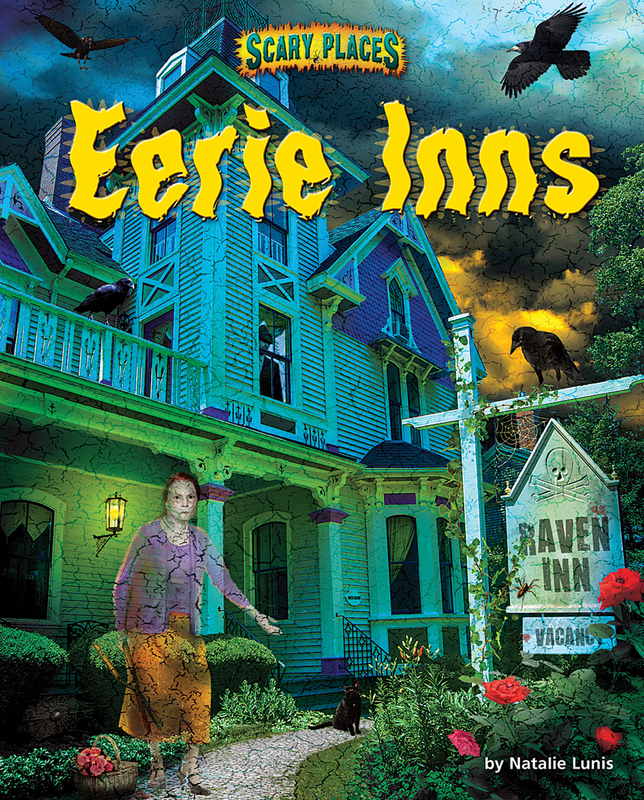 Among the 11 eerie inns in this book, children will discover an inn in Gettysburg that is said to be haunted by the soldiers who died in one of the bloodiest battles of the Civil War; a small hotel in San Francisco that was once a girls' school and is now visited by the ghost of the headmistress; and a bed-and-breakfast in Florida that is haunted not by a person—but by a doll! The creepy photographs and chilling nonfiction text will keep children turning the pages to discover more spooky stories.